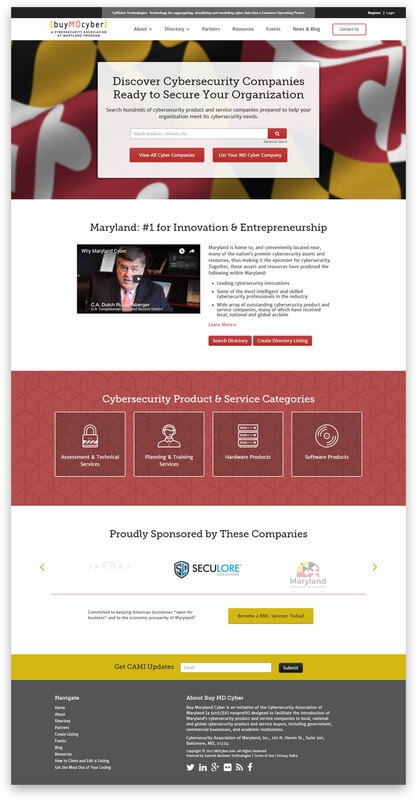 Buy Maryland Cyber is a state, government-sponsored organization that exposes Maryland’s cybersecurity companies to local, national and global cybersecurity buyers. 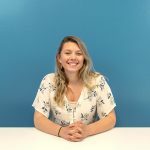 When they first built their site, they used a pre-built directory WordPress theme (that didn’t even have a homepage!) and an excessive number of unnecessary plugins — both of which added “code bloat” and significantly slowed down their site. Not only that: it wasn’t mobile friendly and had a very bland look. WebMechanix designed a new homepage to act as an introduction to the company directory, eliminated the code bloat, and matched the internal page designs to that of the new homepage. This new, mobile-friendly design also updated brand colors and typography to better match Maryland and the audience coming to the website. After launch, we saw a massive 300% site speed increase in the directory query return after switching the processing from server-side to client-side. 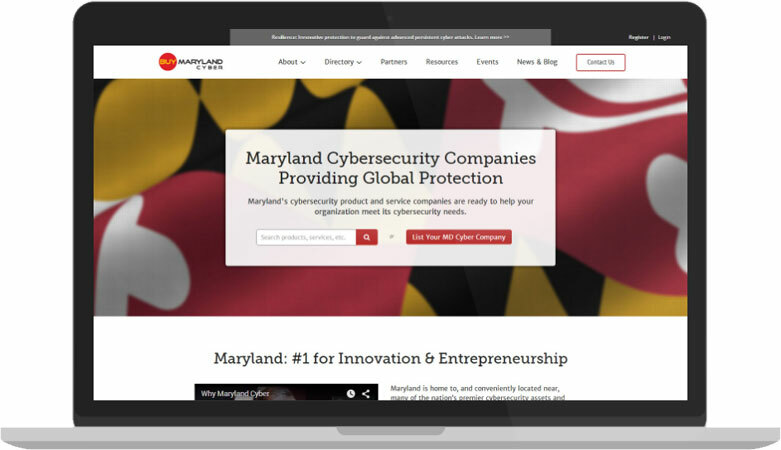 More importantly, thanks to WebMechanix’s design, development and marketing efforts, Buy Maryland Cyber was able to increase their sponsorship significantly, leading to a constant incoming revenue stream.